A recent editorial in the journal Open Heart suggests many of us have it all wrong when it comes to the balance of fats we eat. The authors urge a return to equal amounts of specific types of fats known as omega-6 and omega-3 polyunsaturated fatty acids in order to help combat global obesity. The paper reflects a recent wave of evidence supporting a revision of guidelines around dietary fat, including in Australia. Fats - more correctly referred to as fatty acids - are a major dietary source of energy, along with carbohydrate and protein. Fats can be saturated or unsaturated, terms that refer to the makeup and structure of the fat molecules. Polyunsaturated fatty acids include the groups of omega-6 and omega-3 fats. The omega-6 linoleic acid and omega-3 alpha-linolenic acid are called essential fats, as humans cannot produce them: we need to obtain these from dietary sources. Major sources of omega-6 polyunsaturated fatty acids are seeds that are used abundantly in vegetable oils like safflower and sunflower oil. These oils are commonly used to make margarines. Processed foods such as cakes, biscuits, burgers, pizza and chips are therefore high in omega-6. Plant sources of omega-3 alpha-linolenic acid are nuts (such as walnuts), seeds (such as linseeds) and green leafy vegetables. The longer chain, more highly unsaturated omega-3s known as eicosapentaenoic acid and docosahexaenoic acid come from algae and oily fish like salmon, tuna, mackerel and sardines. There is good evidence for the health benefits of monounsaturated fatty acids: these are found in olive oil, macadamia oil, avocado, and selected nuts like almonds and peanuts. Excess amounts of saturated fatty acids in the diet have been associated with increased risk of clogged arteries and heart disease (although this is complicated and may depend on their source). Saturated fatty acids come primarily from red meat and processed foods, but dairy products, coconut and palm oil also contain them. Highly processed food also contains trans fatty acids which occur as a result of the hydrogenation of vegetable oils for margarine, commercial cooking and manufacturing. This process alters the structure of the fat, and these are associated with increased risk of heart disease. How do fats contribute to our health? Apart from contributing energy that our bodies need to work properly, fats have numerous important health benefits including healthy skin and hair, absorbing fat-soluble vitamins (A, D, E and K), and insulation to keep us warm. Omega-3 and omega-6 polyunsaturated fatty acids are important for brain development. Docosahexaenoic acid is particularly concentrated in our brains, where it has multiple important roles in healthy brain function, cognition and mental health. Furthermore, omega-3 polyunsaturated fatty acids produce important chemicals that reduce inflammation and blood clotting, and improve blood vessel dilation. Conversely, omega-6 polyunsaturated fatty acids promote inflammation, clotting and constriction of blood vessels. A diet low in omega-3 and rich in omega-6 can therefore create a range of problems, including chronic inflammation and poor blood flow. These changes are associated with chronic diseases such as obesity, heart disease, stroke, mental illness and dementia. 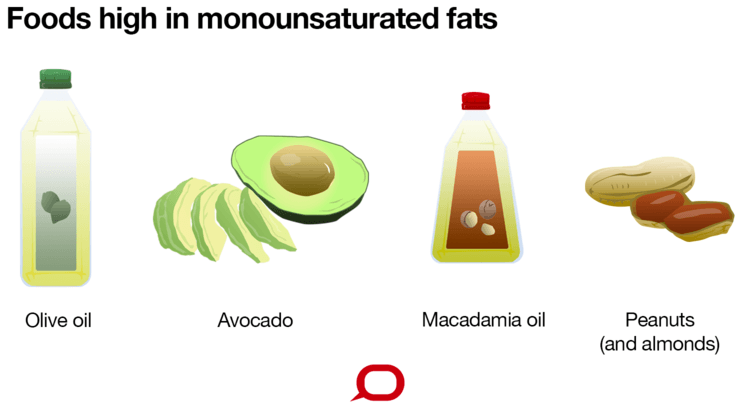 What sorts of fats do Australians eat? In traditional societies, humans consumed a ratio of roughly 2-1:1 of omega-6 to omega-3 polyunsaturated fatty acids. This came about due to diets rich in fish, plant foods and free grazing animals, and eggs from chickens that ate plants high in omega-3 fats. In industrialised regions such as Europe and the United States, the dietary ratio of omega-6 to omega-3 is very different, being closer to 16:1. In Australia it is estimated to be 8:1. Therefore Australians are not meeting recommended guidelines for omega-3 intake, eating high levels of processed and takeaway foods, a lot of fatty red meat and not enough fish or vegetables. This diet is associated with high levels of obesity and chronic disease in adult Australians. Furthermore, one in four Australian children is overweight or obese. This age group also consumes excess saturated fat – largely through processed foods – and not enough omega-3 fats. It is the responsibility of the governments and international organisations to establish nutrition policies based on science and not continue along the same path of focusing exclusively on calories and energy expenditure, which have failed miserably over the past 30 years. Since the 1960s there has been a focus on low-fat diets to improve health. However recently recovered documents implicate a role for sugar industry fraud in this focus. A sponsored program of research cast doubt on links between sugar and heart disease, and pointed the finger at fat instead. There is now increasing high quality evidence that a Mediterranean-style diet high in monounsaturated fat from extra virgin olive oil is superior to a low-fat diet in preventing heart disease and reversing fatty liver, which is associated with metabolic syndrome and risk of type 2 diabetes. Not only that, but a high fat Mediterranean diet is superior to a low-fat diet for weight loss, and particularly for long term maintenance of weight loss. This may be at least partly because all calories are not equal: processed foods are thought to provide energy in a form that is more accessible to our bodies compared with raw or unrefined foods. Fat is also more satiating, which may explain why a Mediterranean-style diet is more sustainable. 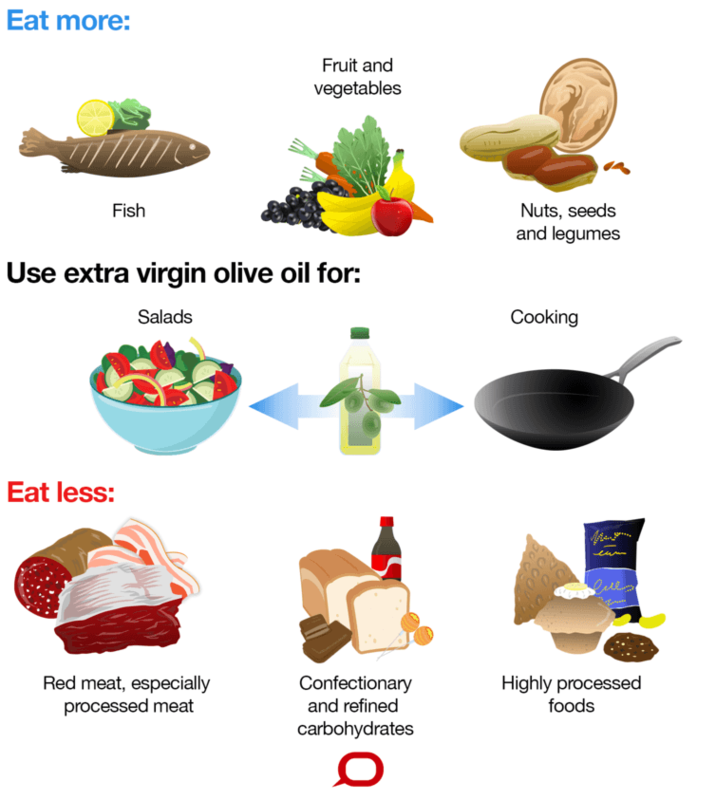 Extra virgin olive oil is not only highly palatable, but its antioxidant properties have been associated with weight loss. Guidelines in America and Australia recommend replacing saturated fat with polyunsaturated fat. In practice, this translates to recommending vegetable oils and margarines instead of butter, and thus replacing saturated fat with omega-6 polyunsaturated fatty acids. Little heed is paid to dietary content of omega-3 in this approach. However, omega-3 and omega-6 polyunsaturated fatty acids are not the same. Recently uncovered data from a study conducted in Sydney in the 1960s showed that margarine containing linoleic acid (omega-6 fat) was associated with increased risk of early death. When data across a range of studies investigating polyunsaturated fats and heart disease were re-analysed, study outcomes changed when omega-3 and omega-6 were separated rather than treated as a single factor. When separated, omega-6 was found to be a risk factor for mortality, while omega-3 was protective. This supports good evidence linking omega-3s with heart health. Although some recently published research questions the importance of omega-3s in fish oil for prevention of heart disease, this interpretation has been professionally critiqued due to methodological flaws. 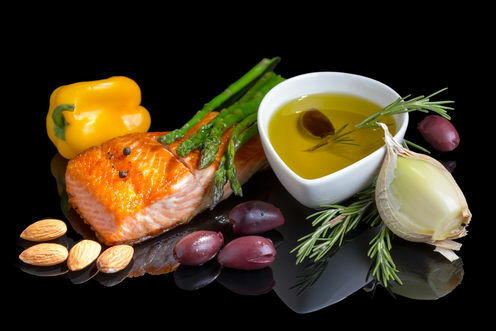 Australian dietary guidelines continue to recommend low-fat diets, polyunsaturated fats in place of saturated fats (without segregating omega-6 and omega-3), and no longer specifically recommend omega-3s for preventing heart disease. Encouragingly, the recent Nutrition Australia food pyramid has incorporated some significant changes reflecting evidence around the health benefits of a Mediterranean-style diet. These changes include the placement of vegetables, fruit and legumes at the base of the pyramid, indicating the importance of high intake of plant foods, and extra virgin olive oil is depicted as a healthy fat. 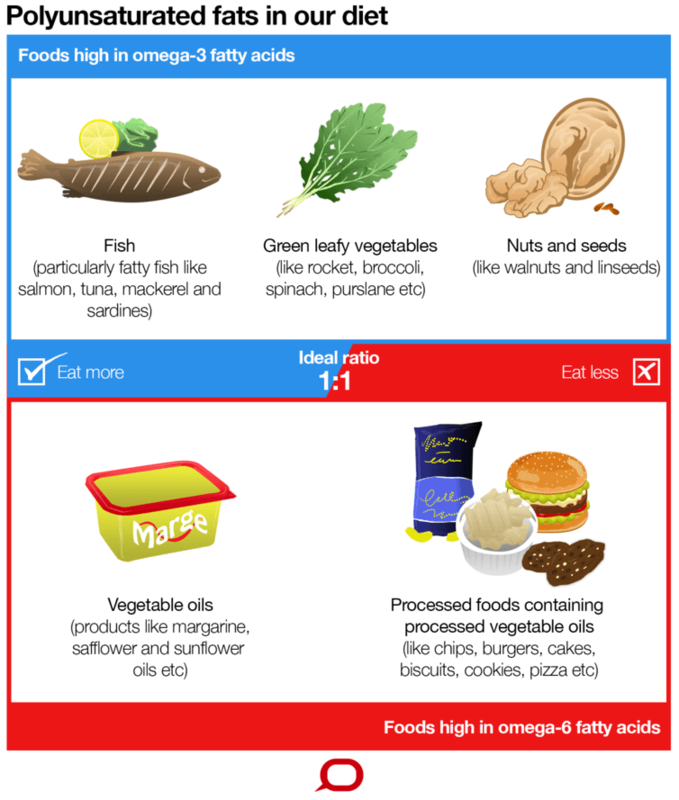 In light of current evidence and consistent with the recent editorial, Australians can improve their health and maintain a healthy weight by aiming for an equal balance of omega-6 to omega-3 intake. Natalie Parletta (formerly Sinn) has received funding from Australian Research Council Linkage grants and is employed by NHMRC Program Grant funding. Barbara Meyer receives funding from the National Health & Medical Research Council, the Australian Research Council and is an independent scientific advisor for the Omega-3 Centre. Catherine Itsiopoulos receives funding and/or support from the National Health and Medical Research Council and primary food industries. Karen Murphy receives funding from the National Health & Medical Research Council, the food industry and a co-operative research centre; an Australian government funded initiative and is an independent scientific advisor for the Omega-3 Centre..
How to have a lot of fun playing online pokies.